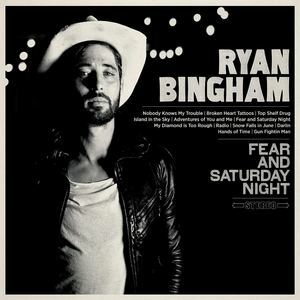 Recorded mostly live with a brand new backing band Fear And Saturday Night shows Ryan Bingham facing down his past with a poetic grace throughout. The lead single "Radio" is about coping with a darkness that doesn’t want to let go, searching for a safe place to make sense of your life and the strength to stay on the right track through it all . Fear And Saturday Night is the most authentic, personal, and deeply moving portrait yet from Bingham.